The Quad Cities area consists of Davenport and Bettendorf in Iowa, and Moline, East Moline and Rock Island in Illinois. The region has the excitement of a big city and the hospitality of a small town with award-winning museums and cultural centers, internationally-recognized festivals, beautiful riverfronts and a vibrant nightlife. Davenport has beautiful riverfront vistas and an active downtown area with the Figge Art and Putnam History Museums and great shopping at the North Park Mall. Bettendorf the Library and adjacent Family Museum provide exciting programs and storytelling. The numerous outdoor activities include the Splash Landing water park, Wallace's Garden Center and Duck Creek Recreational Trail. Rock Island‘s downtown is known for its festivals and nightlife with Cajun food and zydeco music; Jamaican food and reggae music; and a fall Irish folk festival. Family activities include the country's largest go-kart street race. Experience a downtown architectural tour and the Broadway Historic District. Moline is one of the agricultural capitals of the world, home of John Deere and steeped in history. 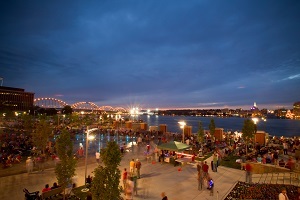 The modern downtown area features great riverfront views and evening entertainment with musicals performed by local actors. East Moline is home to many great events and festivities. 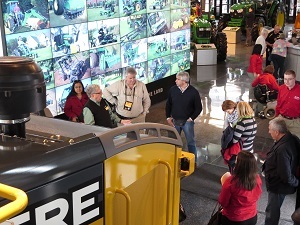 Empire Park is right on the Mississippi River, walk along the riverfront trails of The Quarter or visit to the John Deere Harvester Works, one of the world's largest combine factories. 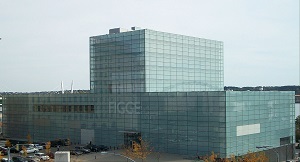 The Figge Art Museum in downtown Davenport is community-centered facility and a gathering place for residents and visitors alike to experience and enjoy the visual arts. Located on the banks of the Mississippi River, this 100,000 square foot museum was designed by British architect David Chipperfield, and includes nine permanent collection galleries, traveling exhibition galleries, art studios for children and adults, aFamily Gallery and Activity Center. The Figge has a collection of approximately 3,000 works that reflect artistic styles and developments from the Renaissance to contemporary art, with particular strengths in American Regionalist, Mexican Colonial and Haitian Art. 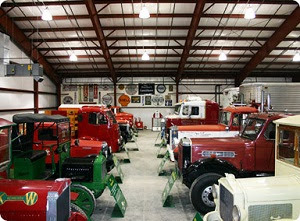 The Iowa 80 Trucking Museum was a dream of Iowa 80 Truckstop founder, Bill Moon who had a passion for collecting antique trucks and other trucking memorabilia. Every truck has a story to tell and can provide a unique glimpse back in time. Many rare and one-of-a-kind trucks are on display. Mississippi River Distilling vodka, gin and bourbon whiskey handmade from local corn and wheat grown within 25 miles in small handmade batches. Wide River Winery atop the Mississippi bluff north of Clinton with some of the finest wines in the Midwest; 11 types of wine, all with catchy names including Felony Red and Ms. D'Meanor White. 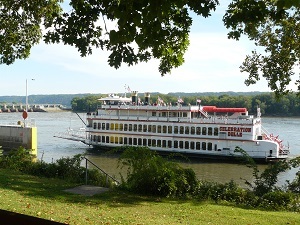 Riverboats the Quad Cities' location on the Mississippi River has inspired many riverboat captains and writers. Enjoy this mighty river aboard a riverboat cruise or an open-air water taxi. River Action strives to foster the environmental, economic, and cultural vitality of the Mississippi River and its riverfront in the Quad City region and 12 communities in two states and two counties. Some of the many accomplishments have been the lighting of the Centennial Bridge, The Quad City Water Taxi, QC Riverfront Design Principles, and Waterfront Master Plan. River Way projects include development of a wayfinding system to guide people along riverfront trails, art projects, historic markers, riverfront parks, enhancement and restoration of wetland habitats. The Rock Island Arsenal was established by Act of Congress in 1862 and has been an active manufacturer of military equipment and ordnance since the 1880s: leather horse equipment, meat cans and canteens, paper targets, artillery recoil mechanisms and carriages, and the Model 1903 rifle. The Museum on the Island is the second oldest US Army Museum in the United States. Biking and Hiking the Quad Cities is at the crossroads of the national Mississippi River Trail and American Discovery Trails; 100 miles of beautiful trails that meander along the mighty Mississippi River, through parks, over bridges and through history-filled sections of these riverfront cities. 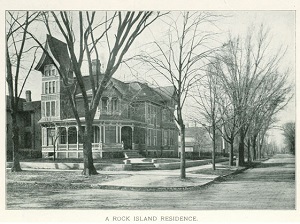 The Broadway Historic District is a collection of historic homes in Rock Island. Founded as a neighborhood association in 1988, it gained National Register of Historic Places status in 1998. The Village of East Davenport a historic logging and Civil War military community with unique shops, restaurants and pubs. Lindsay Park, home to the Union Army’s parade grounds during the Civil War. 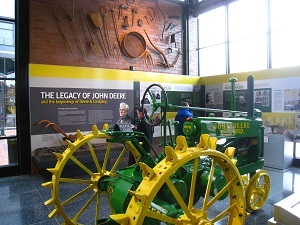 The John Deere Historic Site the original Grand Detour homestead where he created his first self-scouring plow. The site also features a replica of his blacksmith shop with a working blacksmith and an exhibit from an archeological dig. Tour guides tell what life on the prairie was all about. Originally founded by the Swedes and Finns in 1638, and later acquired by the Dutch in 1655 and the British in 1739, today Wilmington offers a rich performing arts scene including theater, symphony, opera, ballet, rock, jazz, folk and family entertainment. It is also home to many celebrated ethnic events, music festivals and special performances at local wineries and breweries. The Christina Riverfront is one of many reasons for making Wilmington your home away from home while exploring the culture trail; cruise in a water taxis or stroll the landscaped Riverwalk. Wilmington was the "last stop to freedom" on the Underground Railroad; the Tubman-Garrett Riverfront Park is named for Underground Railroad Conductor Harriett Tubman and Stationmaster Thomas Garrett. The Riverfront Market offers delicious specialty foods, fresh produce, flowers and much more from a variety of vendors. And: shopping, dining and entertainment are tax free here! The First Stop along the Culture Trail focuses on the History of the First State! The Delaware History Museum located in a renovated art-deco Woolworth store in the historic district, features three galleries of changing interactive exhibits on Delaware history, including displays of rare items of everyday life, costumes, children's toys, regional decorative arts, and paintings. Old Town Hall Built in 1798-1800, it functioned as a center of political and social activities in Wilmington's mercantile-milling economy. Today it is owned by the Delaware Historical Society and is used for exhibitions and special events. Willingtown Square consists of six historic houses relocated into an urban park in 1976.Not far away are the Tubman-Garrett Riverfront Park, the First USA Riverfront Arts Center, and the Wilmington train station. The Research Library is tasked with collecting and preserving Delaware materials for over 135 years, the Society has a rich and varied collection of books, ephemera, newspapers, serials, maps, manuscripts and photographs relating to the history of Delaware and its people.